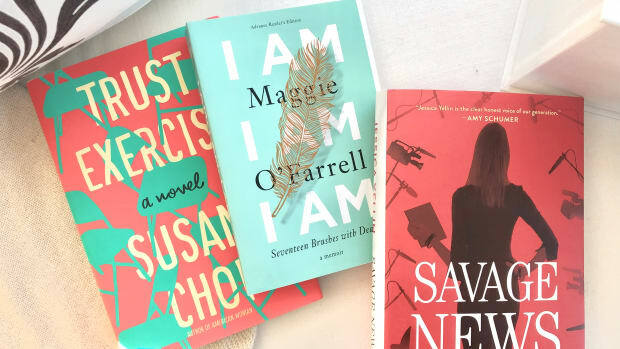 In a slight departure from our usual list of fiction, we're examining memoirs this February to quell our winter woes and engage our minds. I have a feeling I’m not alone in this. 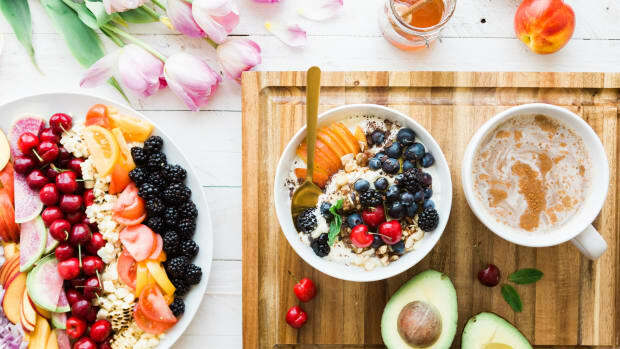 My reading choices tend to go through seasons (much like my moods), periods of time where I find myself drawn to a single genre – fiction, most of the time: light reads in the summer, dense thinkers in the fall, easing back into the light by the holidays. 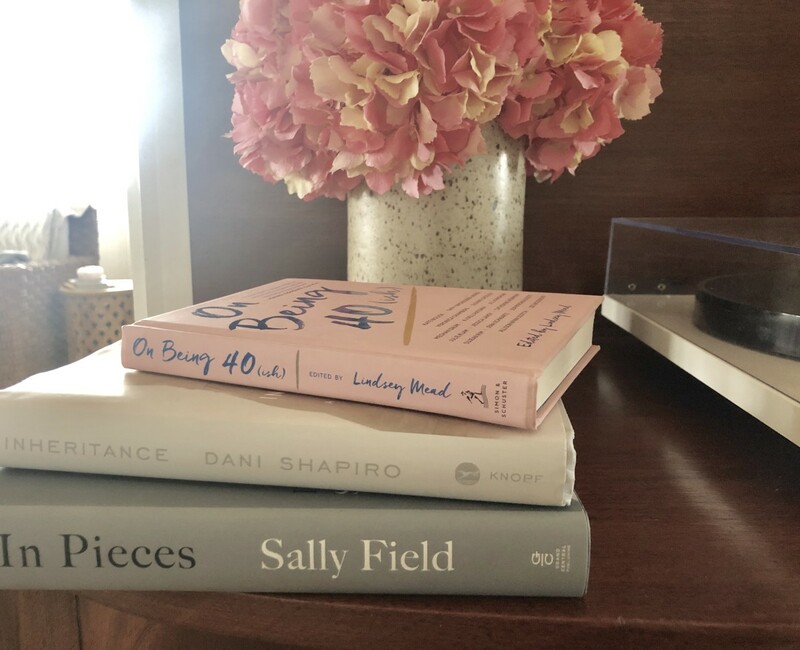 Yet this past month, as we’ve settled into winter, routine, and a desperate need for Vitamin D, I have found myself turning to memoir, grounding myself in other women’s truths as a way to glimpse a little of my own. 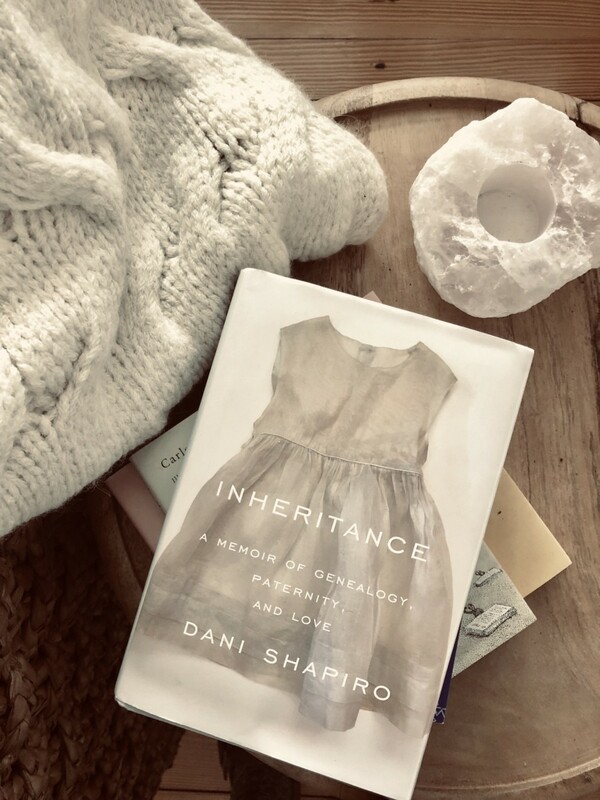 While it may seem early to start compiling my “Best of 2019” list, I know Dani Shapiro’s Inheritance will stay at the top -- an extraordinary, stunning, fierce book and a true testament to these current times, our present now in which we can delve into our DNA with the click of a button and less steps than a meal delivery kit. In the spring of 2016, Shapiro takes a DNA test as a lark, only to discover that the results will topple her sense of family and self. 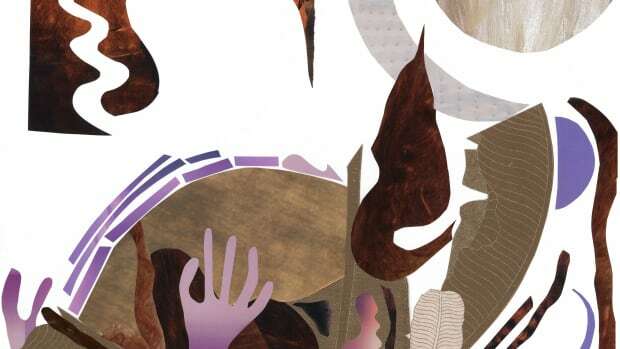 Shapiro takes us alongside her journey as her world and identity first shatter and then come together in a new wholeness, one which she realized she had always been seeking. Beautiful, searching, and exquisitely readable, Inheritance is a study in healing for both the author and the reader. T his is a story to savor time and again (re-reading her aunt’s words, for instance, when you need a supported lift) and save for the next generation. It’s perfection. 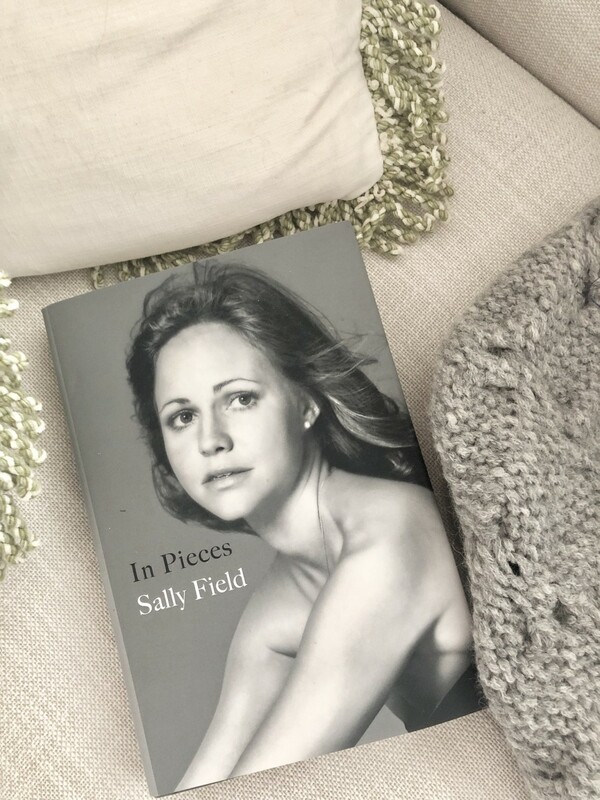 Sally Field’s In Pieces is another story from a strong, fierce female voice who has learned so much and is willing to share each raw and hard-earned piece. 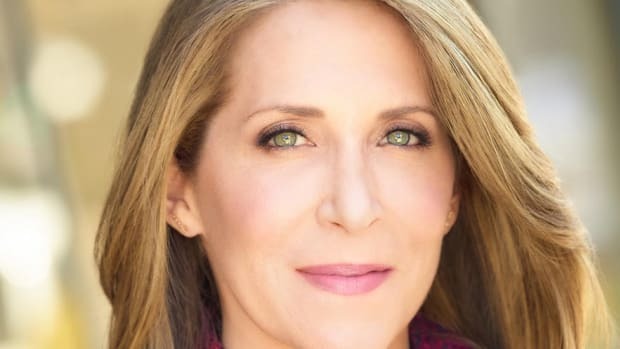 Written with a searing courage and vulnerability, Field’s voice fills the page as she navigates an abusive childhood, early career and consuming relationships. 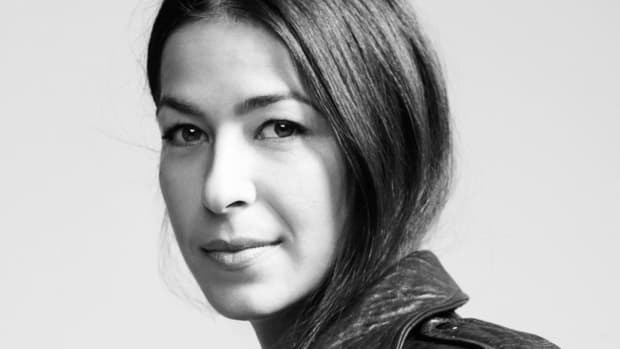 While Field’s story shares the page with men, it is ultimately a love-letter to her mother, laying bare their complicated, entwined, heartbreaking and ultimately redemptive relationship. 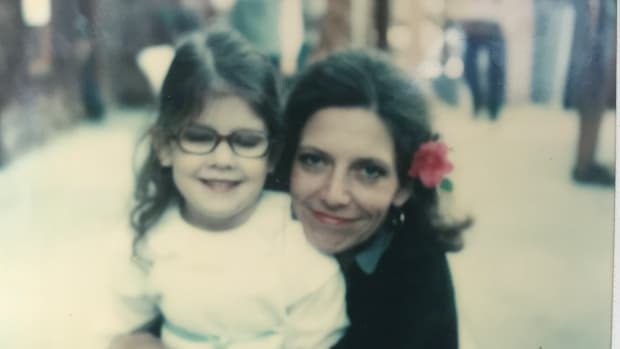 This is a story of a mother and daughter, growing up alongside each other with profound losses and unshakeable strength. 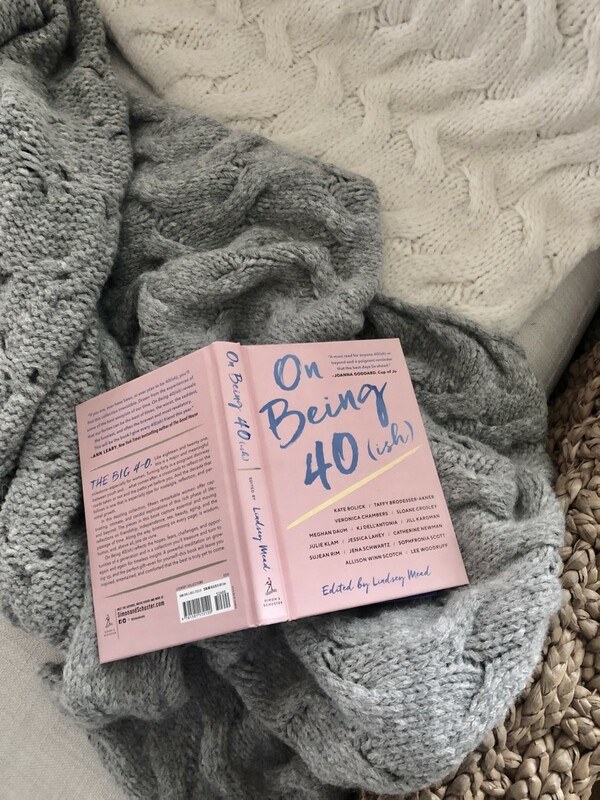 And finally, a book to curl up with a savor – On Being 40 (ish), edited by Lindsey Mead. This book was like an evening cup of tea (or glass of wine) – an ideal end to a day in which you could curl up with your best girl friend to swap stories and wisdom. 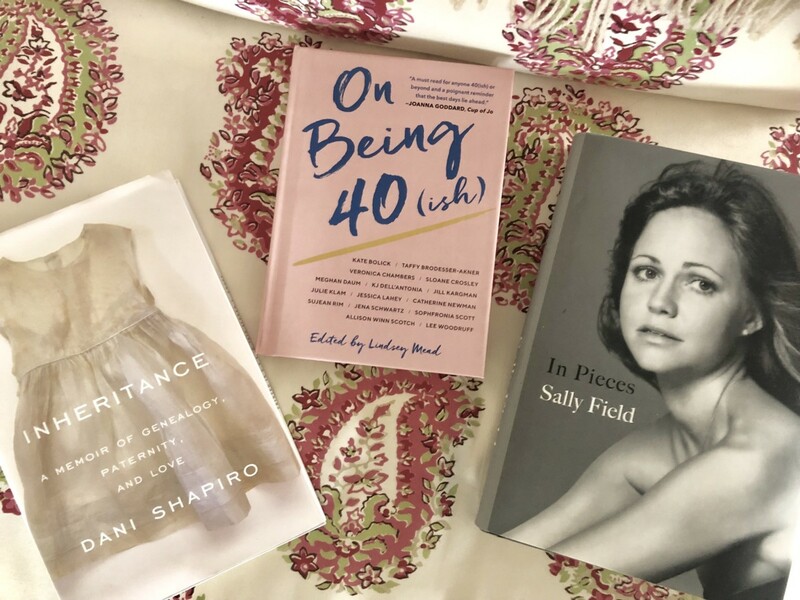 With contributions from Lee Woodruff, Kate Bolick, Jill Kargman and Sloane Crosley among this stellar bunch, wisdom is in great supply. I found each essay both a comfort and an aspiration, as I recognized a bit of myself within each story, while knowing I haven’t quite yet found the wisdom in my own. When I turned 40 last summer, I often joked with friends that I thought I would be enlightened by now. And the seed of truth within the joke? I thought I’d have more of life figured out. That I’d feel like an adult and could metaphorically swan dive into this last half of life. From these essays, I’ve learned that wisdom will come, and it’s often in the form of letting go -- accepting the dips and peaks of every ride. Life is a work in a progress with no easy answers or magic carpet to carry us through and a new bit is written every moment, nothing is predictable. So what does carry us? 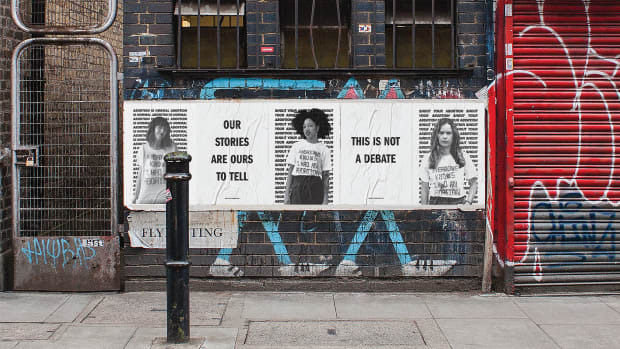 For me, it always comes back to the essential: the support and shared stories of women. We live, we share, we learn, we pick back up and start again. Maybe that’s the wisdom.